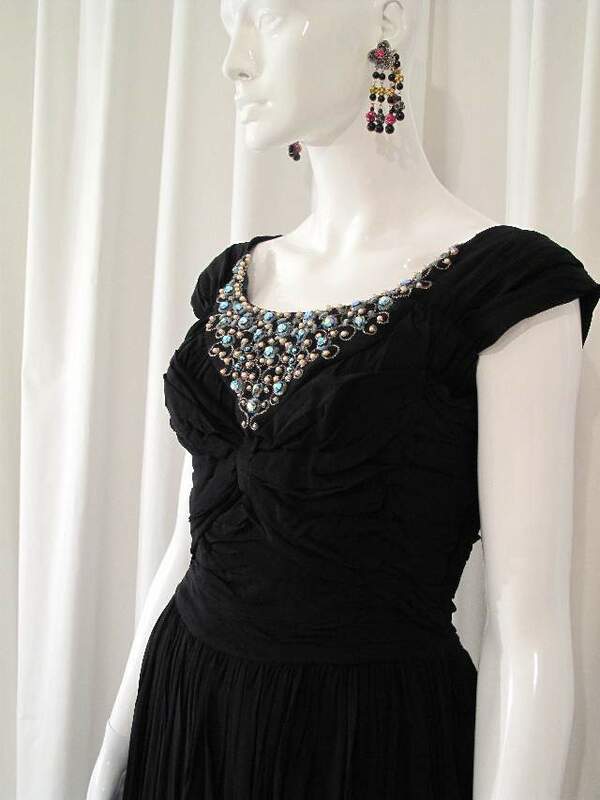 1950's Midnight black georgette ruched and jewelled vintage gown. 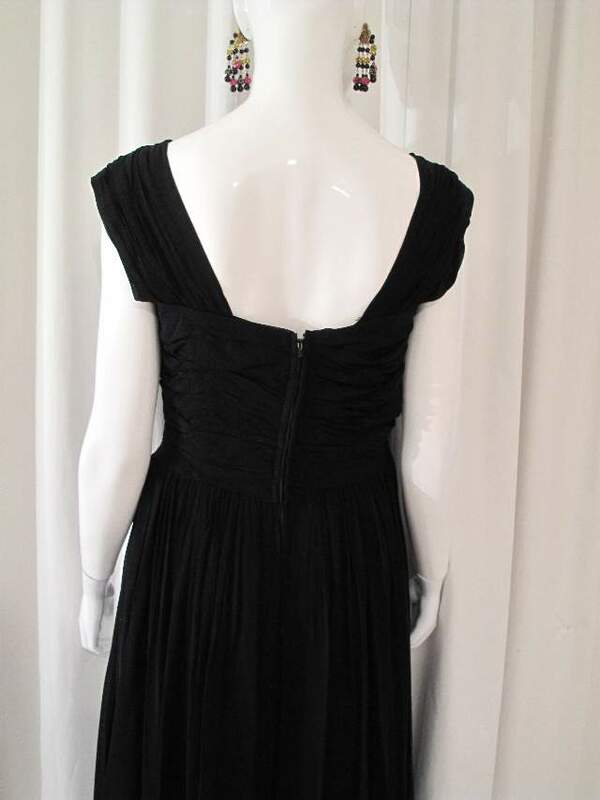 The gown has a ruched bodice, draped into a front knot design, draped wide straps to the shoulders and a back zip fastening. The skirt is full length and gathered at the waist and is quite full. 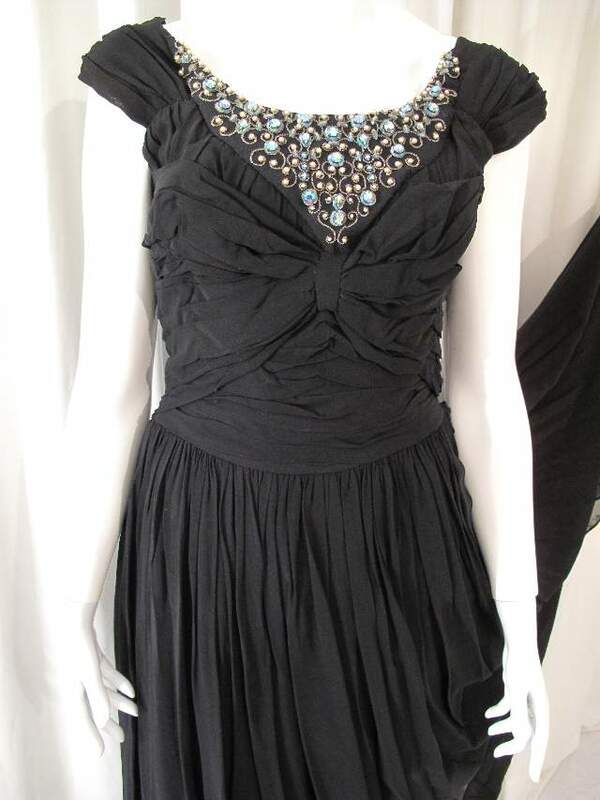 There is a black satin acetate underskirt. 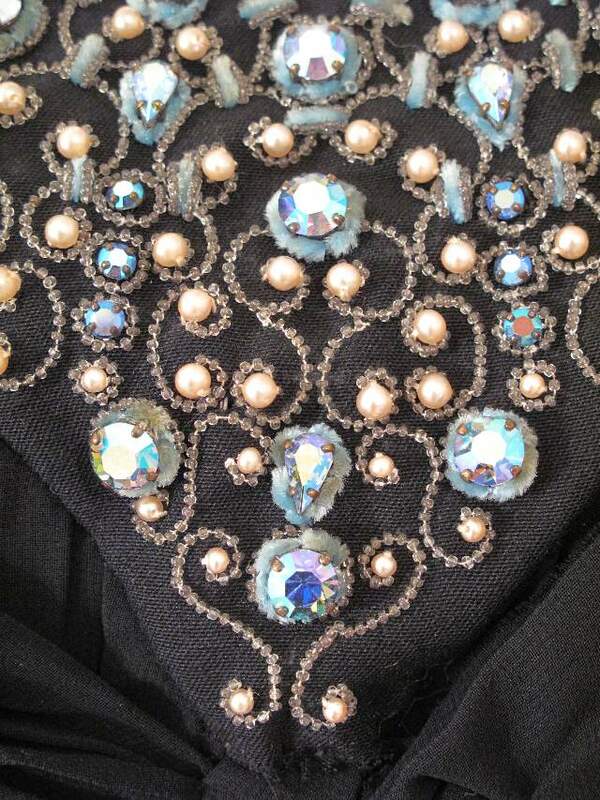 At the bust there is a V shaped insert of tiny scrolled glass beads with faux pearls, chenile threads, pear shaped and large faceted aurora borealis crystals. 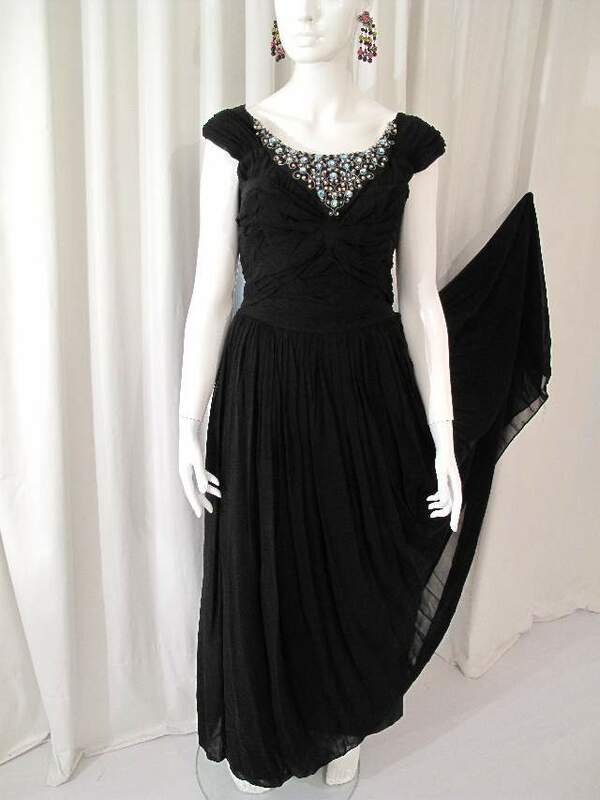 A classy, dinner at the Ritz kind of gown.